Mercifully there are no shortages of different routes you can take when seeking to escalate a complaint, although they may not all apply to your particular provider. But never the less we recommend that consumers take a close look at each because more often than not they can all be relevant. Below can be found a numbered list, constructed in rough order of logical priority (i.e. where you should go first), which indicates any organisation that has been specifically setup to help solve ISP complaint(s). Don't be afraid to complain to more than one. It goes without saying that your first port of call with any service problem should always be to contact the ISP itself, which will usually offer a number of customer support contacts for different departments. Allow the ISP some time to investigate and resolve the problem, although how long you give them somewhat depends on the severity of your situation. Should the provider fail to be effective at resolving your problem then most reputable ISPs will also offer an internal complaints procedure (search their website as you may find a relevant policy). Customers should ask their provider about this as an official complaint is often treated differently from a request for support. It can also help if, when writing a letter or email, you state OFFICIAL COMPLAINT somewhere in the subject and make sure to send any posted letters via a tracked/recorded method (keep the receipt as evidence). Expect internal complaint procedures to take some time before reaching a conclusion and do not be afraid to make a complaint to another organisation while awaiting a resolution; adding a little extra pressure to help gain the desired outcome is your right and freedom as a consumer. Make sure to politely express your dissatisfaction if the issue has not been resolved. Unfortunately some ISPs can be rather poor, so if they fail to resolve your problem then we would recommend requesting a "DEADLOCK Letter", which details what measures the ISP has taken to tackle your complaint. This can come in handy as evidence for when or if you need to initiate an ADR complaint (no.3 below). It is also helpful to write and send letters of complaint to your ISP in the post, as well as via email, as this is typically better evidence and more official than merely shooting off a quick message or making a phone call. Furthermore it's always worth asking to speak with a manager, although this doesn't always work. In addition, if the dispute concerns a billing issue then it's sometimes better to pay what is asked and leave the matter in dispute with the ISP (this avoids a potential difficulty with debt collection agencies later on). The issue can then be argued later through the ADR process, which may well rule in your favour and extract a refund. Many of the markets more reputable ISPs are also members of the ISPA (MEMBER LIST), which is an Internet trade association that represents the interests of Internet providers in the United Kingdom. The group also runs its own ISPA Code of Practice that all members must abide by and is designed as a commitment to good business practice. If your providers support and or complaint procedures (no.1) have failed to resolve the problem within 10 working days of the original case being opened then you can also submit your dispute directly to the ISPA via an online form. This is highly recommended as it will put added pressure on the ISP to resolve the problem or risk their status within the organisation. The industry regulator, Ofcom, and the ISPA both require that all UK ISPs be members of an approved ADR scheme (there are currently just two of these). Essentially ADR schemes are meant to supplement, not replace, a providers own formal complaints procedure. The advantage they have is that an ADR is free and can order your ISP to either fix the problem or pay compensation, plus its rulings cannot be ignored. As a rule ISPs must include clear information concerning the relevant dispute resolution service on all paper bills and relevant website pages. Furthermore all front-line support staff at an ISP are required to be fully informed about the right of consumers to use ADR. Ofcom can also take enforcement action against those providers who do not treat complainants fairly. 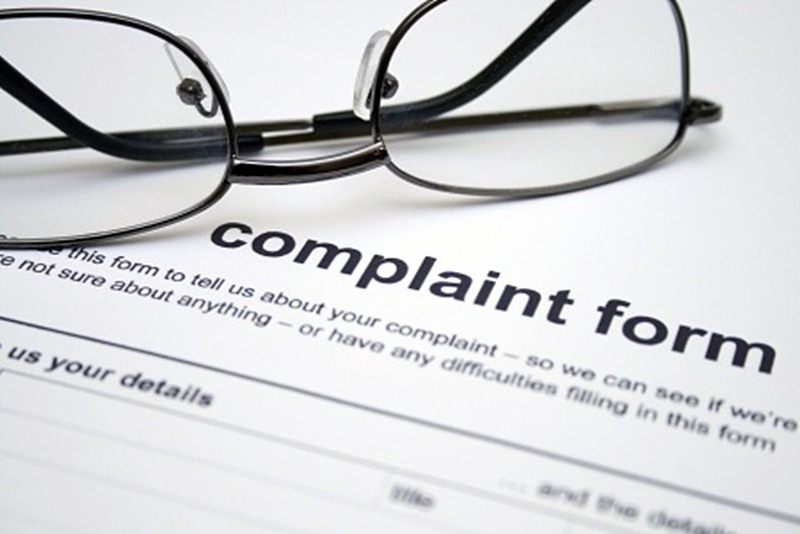 However consumers can only use an ADR provider if their complaint has gone unresolved for 8 weeks. At this point your ISP will send you a "Deadlock Letter" (see no.1 above) or you can request one and then raise the matter with one of the above ADR operators (note: the ISP holds a responsibility to inform you of your right to use an ADR, but some will fail to do this). I am writing with regard to the above complaint. I wrote to you on [date] asking you to [describe the action you asked them to take] in order to resolve this complaint. However your attempts to resolve the problem have not been satisfactory and you claim that there is nothing more you can do to help me. As a result we appear to we have reached a position of deadlock. Therefore, I am left with no alternative but to take my complaint to [Ombudsman Services: Communications / Cisas]. If I do not hear from you within this timeframe I will refer this dispute to [Ombudsman Services: Communications / Cisas] with no further reference to you. If the provider fails to respond to this final letter within a reasonable period of time (e.g. 14 days), then you should be able to take your complaint to the ombudsman regardless. At this point it should be noted that some ISPs aren't as good as others when it comes to informing customers about which ADR they use. We recommend checking the providers Terms & Conditions (T&C) pages for words like "complaint" or "ADR" in order to find the answer. We also try to include this on our individual ISP Listing pages (click the name of your ISP from a list and it should be shown at the top) and Ofcom also has their own ADR List. Finally, some ISPs are merely vISP's (virtual ISPs) or resellers, which means that their supplier will be the real one delivering your service and not the provider you subscribed with. It can thus be helpful to find out who supplies your ISP as sometimes the supplier will be the one listed on an ADR member's scheme list and not the ISP itself. Sadly doing this is rarely easy. It's important to understand that, while Ofcom does offer a facility for submitting formal complaints, their remit is not to actually deal with individual problems. Ofcom is a regulator and as such it will use your complaint to help track any overall issues that a particular ISP might be suffering from, which can in extreme cases cause them to take legal or punitive financial action against a particular provider. To that end it is always good practice to issue Ofcom with a complaint about your ISP, provided you feel that the situation is serious enough to warrant it. A number of major ISPs, such as TalkTalk and EE, have over the years faced enforcement action from Ofcom and this would not have been possible without consumers raising their issues with the regulator.